Does your school have a set of NXT robots for teachers to use? 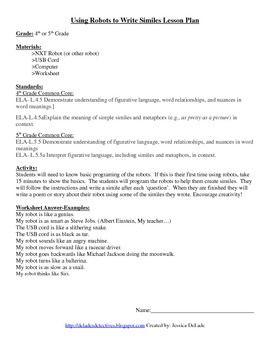 Are you totally stumped on how to integrate it in the classroom? I have the perfect thing for you-integrating literacy and technology! 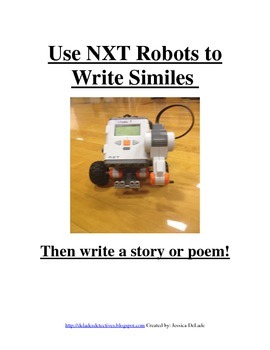 Use the NXT robots individually, with a partner, in a small group, or use just one as a whole group lesson. 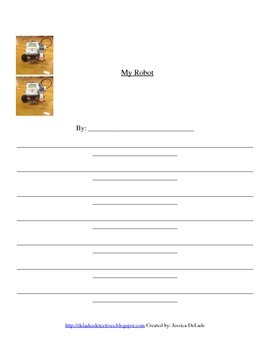 Students will fill out the worksheet to write similes describing different components of the robot. When they are finished they will write a poem or story on the stationary. 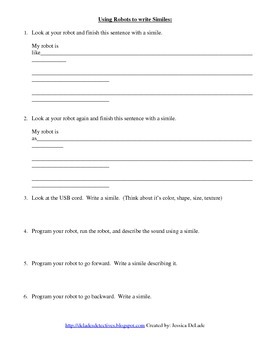 Students will surely want to share their writing after using robots! Writing similes has never been this fun! Appropriate for any grade level that has students write similes. *The thumbnails didn't download quite right, but when you download it everything will be lined up!